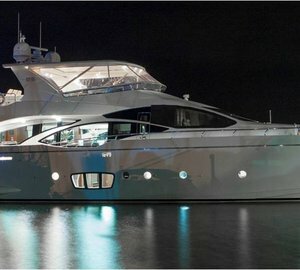 Luxury motor yacht SORRIDENTE was launched in 2010 by the well renowned Azimut group and measures 28,9m (95ft) in length. 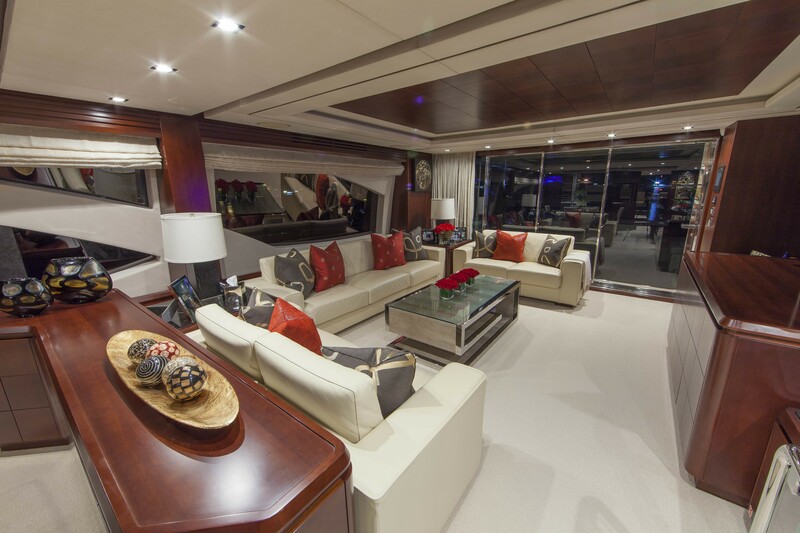 M/Y SORRIDENTE underwent a refit in 2015. 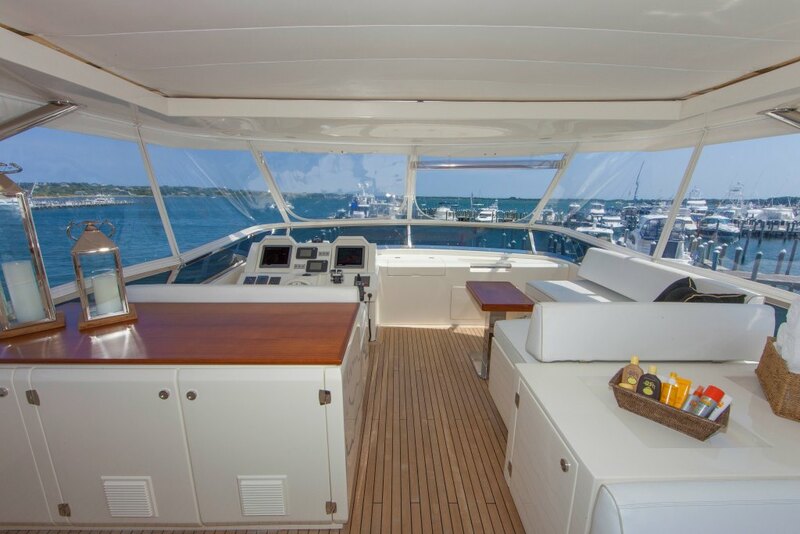 The yacht offers sumptuous accommodation for up to 8 charter guests, in 4 well-appointed cabins. 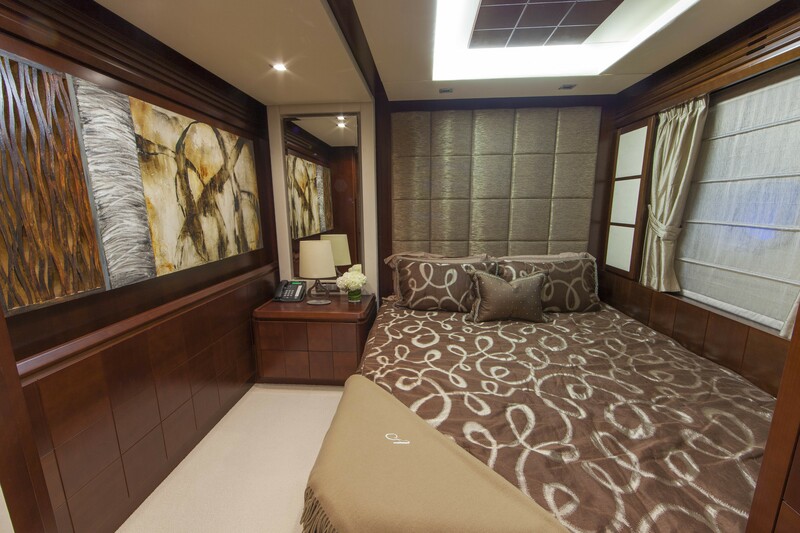 Yacht SORRIDENTE has a contemporary and warm interior décor of neutral toned soft furnishings, timeless wood finishes and bespoke touches throughout. The salon is an inviting open plan, featuring the spacious lounge aft, formal dining forward and complete wet bar to port. 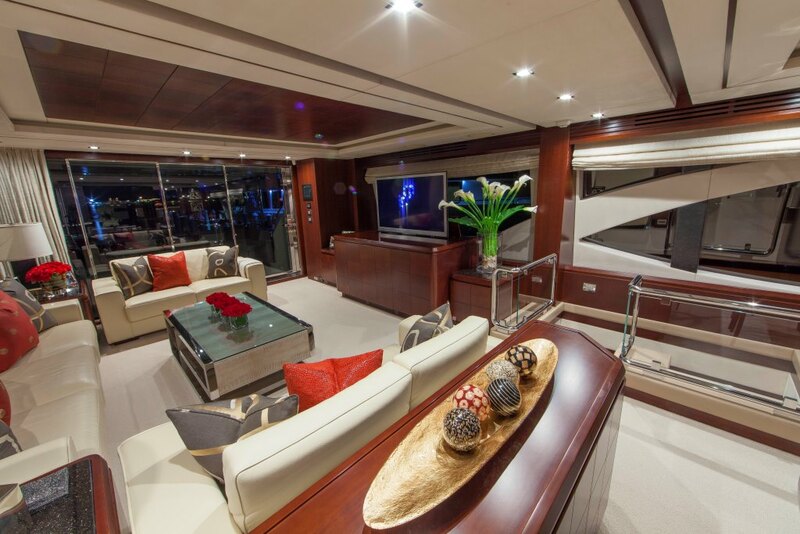 The lounge boasts a 3 piece suite, coffee table and full entertainment systems. 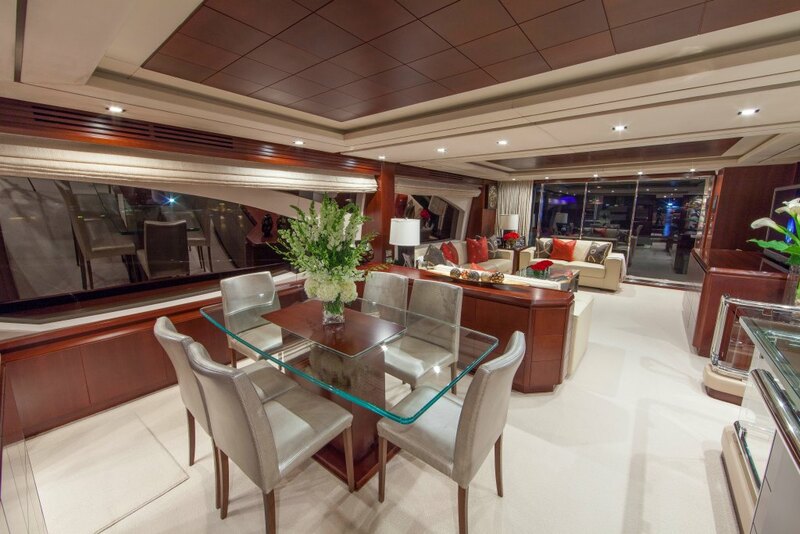 Forward, the elegant glass dining table seats guests in ultimate style. 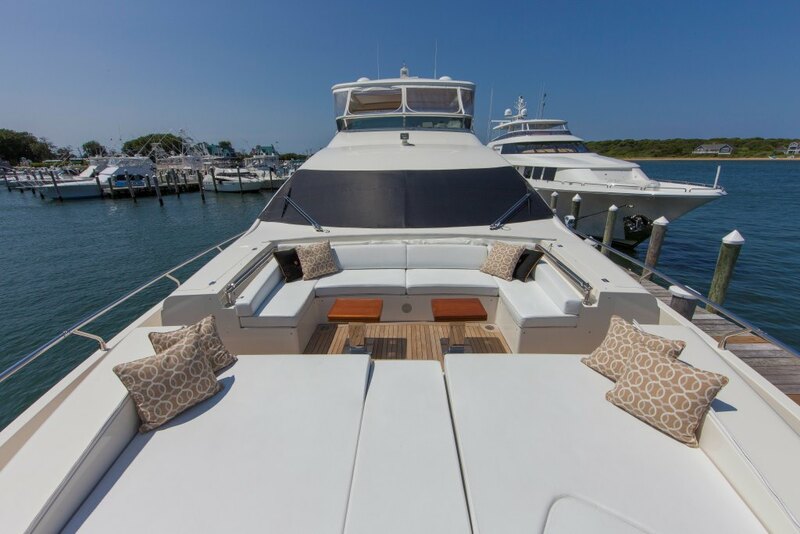 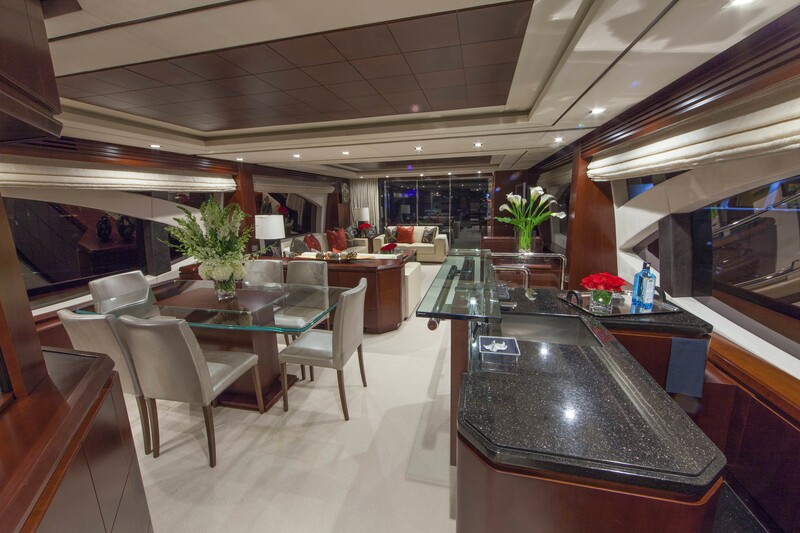 On the port side is the wet bar, ideal for socializing. 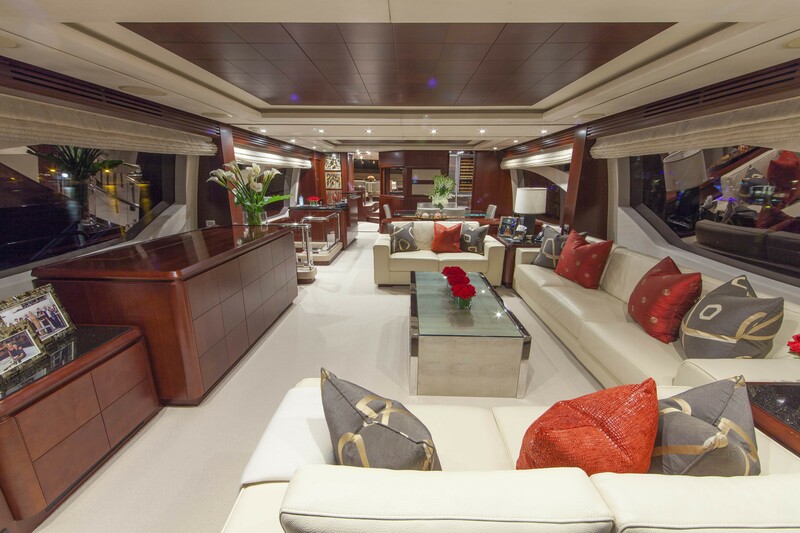 Surrounding panoramic windows provide ample natural light and unrivaled views. 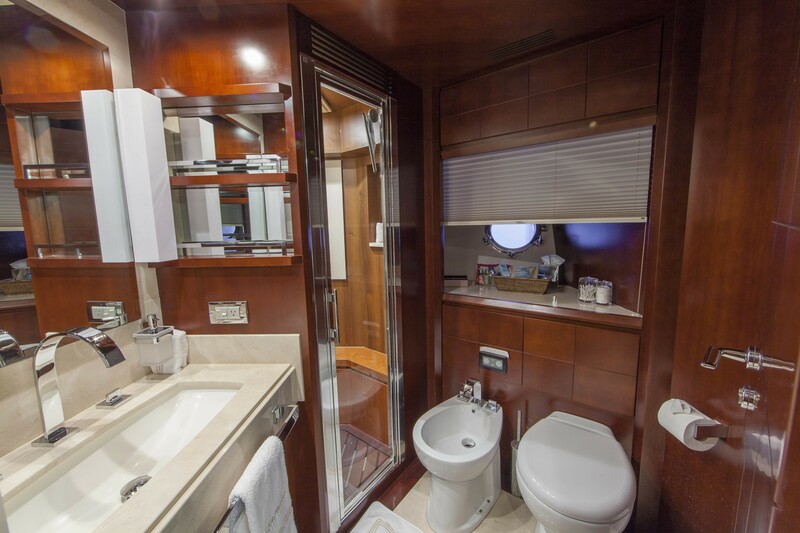 On the lower deck, accommodation is in 1 master cabin, 1 VIP cabin, 1 double cabin and 1 twin cabin, each with private en-suite facilities. Exterior living on the Azimut SORRIDENTE is capacious. 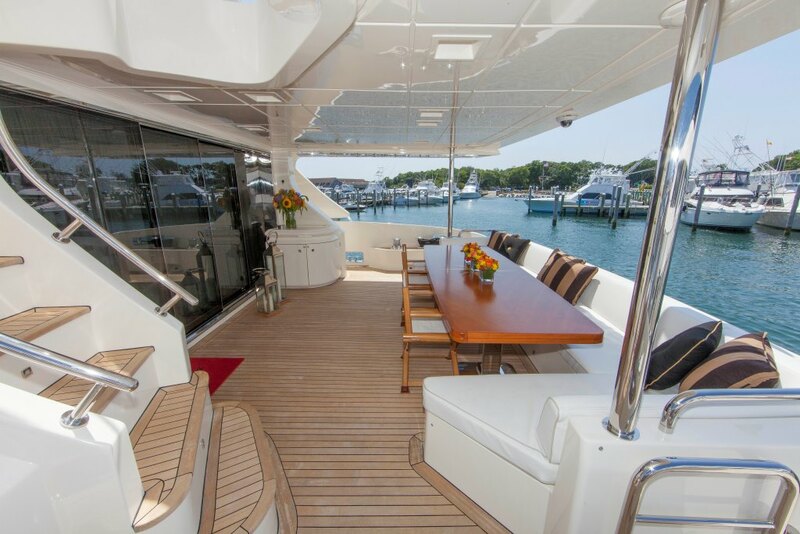 The aft deck is shaded and boasts an alfresco dining area with ample seating, perfect for entertaining thanks to the adjacent salon. 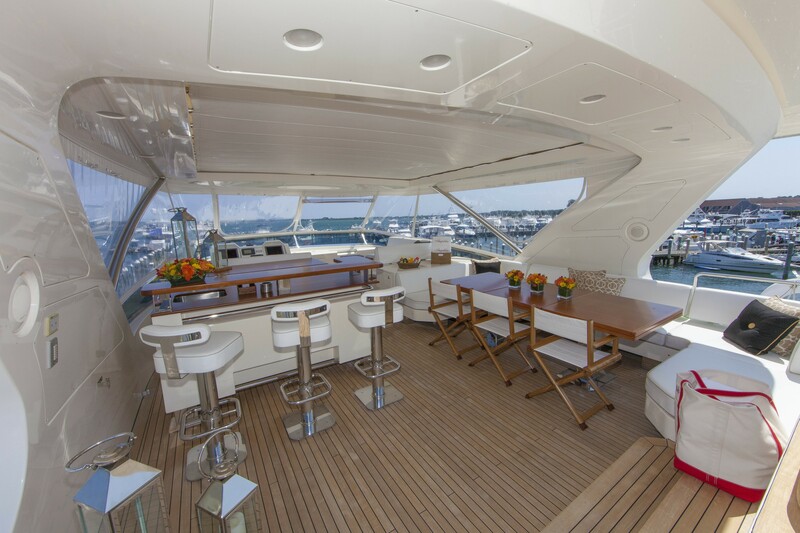 On the foredeck, a further seating area with small tables creates a fabulous gathering spot, whether for a casual meal or evening aperitif. The upper sundeck features a further alfresco dining option, complete wet bar with stools, Jacuzzi with built on sun loungers. 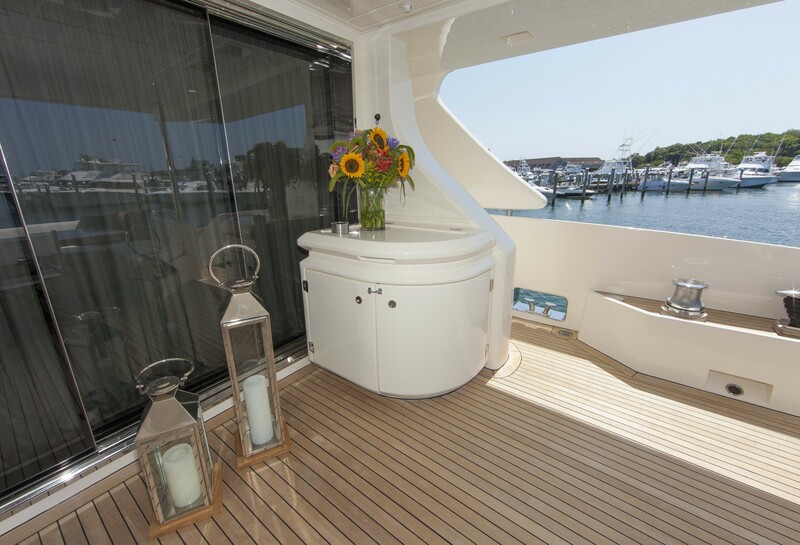 Partial shade ensures charter guests can enjoy soaking up the sun, or relaxing in the cool shade. 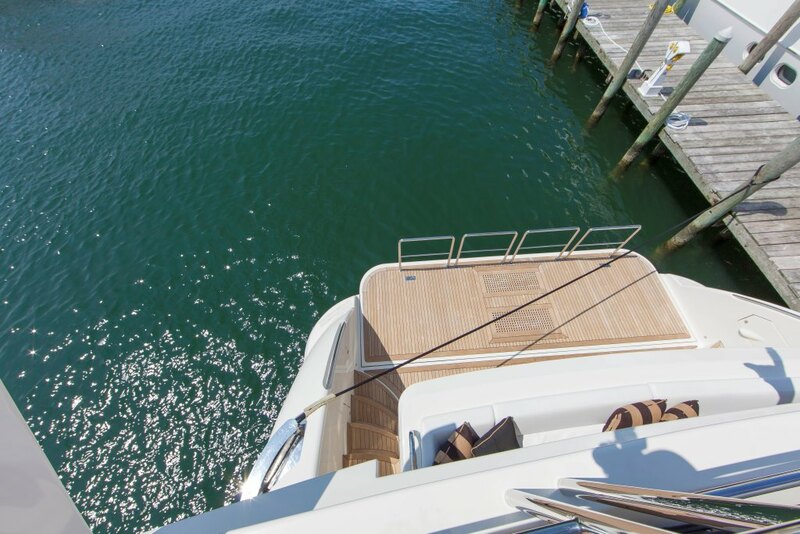 Water enthusiasts will find the extended swim platform on the transom, ideal for effortlessly making the most of the sea toys on offer. Powered by 2 x 1925hp engines, the luxury motor yacht SORRIDENTE cruises at 10 knots and boasts top speeds of 24 knots. 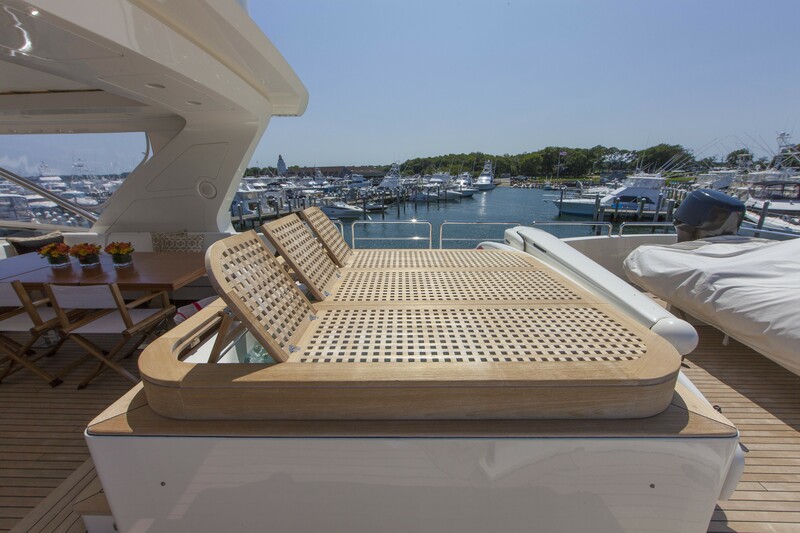 A state of the art stabilizing system ensures optimum comfort at sea and at anchor. 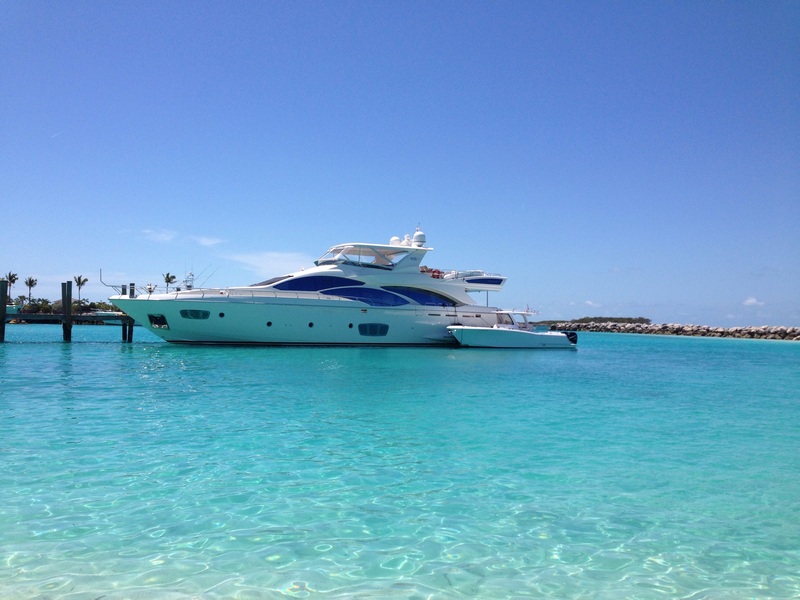 Azimut motor yacht SORRIDENTE can accommodate up to 8 charter guests, in 4 en-suite cabins. 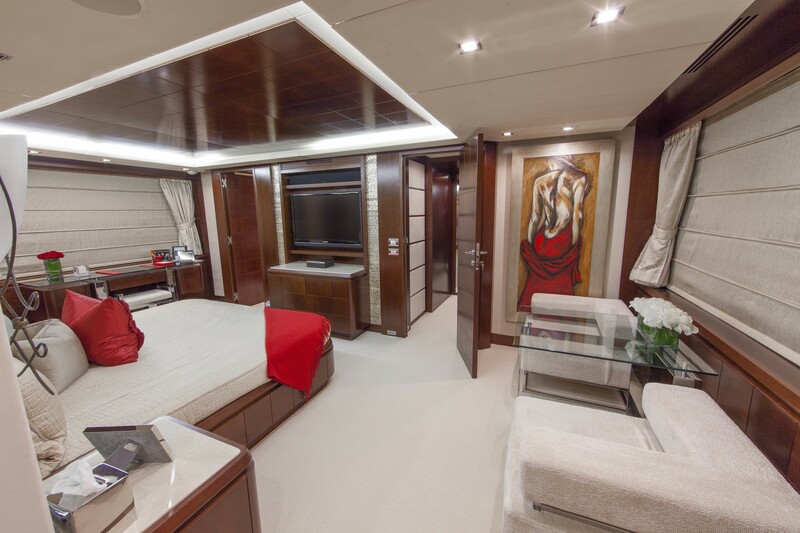 The master stateroom is amidships and full beam of the yacht, with a center lined king size bed, private seating area, vanity and his and hers en-suite. 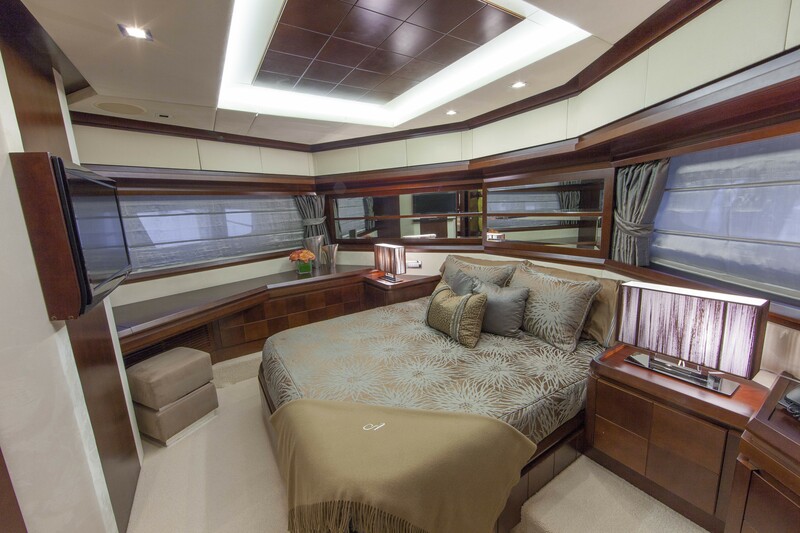 The VIP cabin is forward and full beam of the yacht, with a center lined queen size bed and vanity. 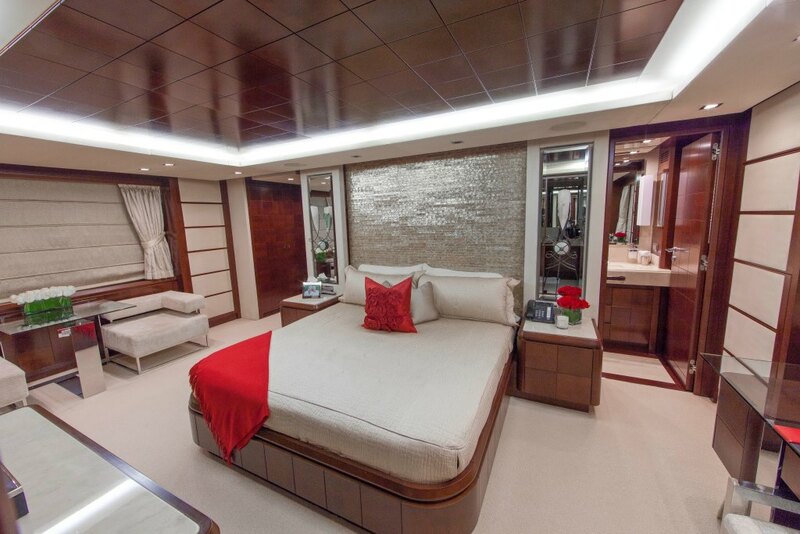 A guest cabin offers a double bed. 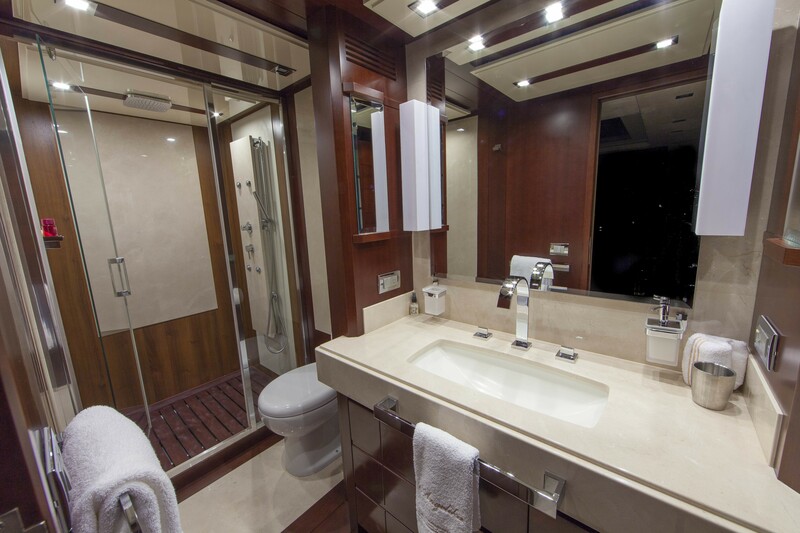 A further guest cabin has twin single beds. 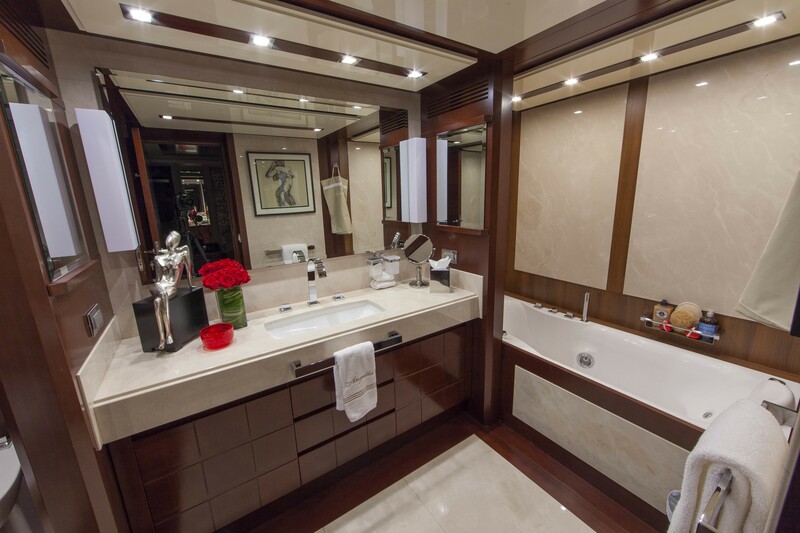 All 4 cabins are stylishly finished, with a timeless and refined atmosphere.